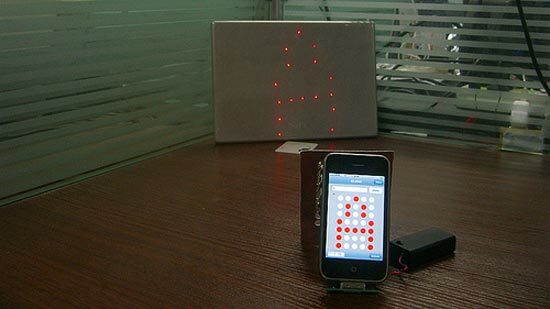 Check out this fun DIY projector for the iPhone from the guys from Hack n Mod, made using 35 individual laser pointers, which can recreate a bit map font using the iPhone. This cool iPhone projector was made using a 5 x 7 laser matrix, and a micro controller to control the decoder and manage the communication from the iPhone, check out the video of it in action below. Head on over to Hack n Mod for full details on how to make your own DIY iPhone Laser Matrix Projector.